Today on Life Of A Nerdish Mum I am sharing my review of Burning by Rebecca Fernfield. Burning is the first book in the Dark Powers Rising trilogy and was released yesterday as well as book two in the series, Primitive. 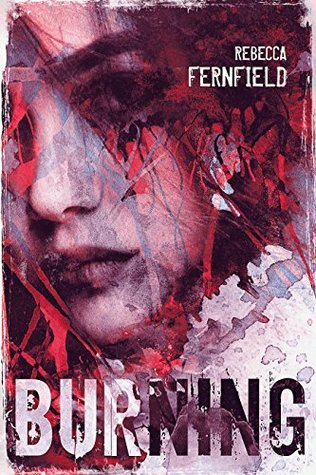 Burning is a YA dystopian story which caught my attention as I haven't read a YA dystopian in some time and I thoroughly enjoy the genre, What also caught my eye was that it was set in England. I've been on the lookout for more England based YA that isn't contemporary, so was pleased to pick this up. The main characters we follow are Edie Fletcher and her family. Edie is a very independent and impulsive 17 year old who is just trying to help her family and others survive in the new world after the disease has ravaged the population. She does things she's not supposed to like any other teenager as she feels she knows better, but she does them for the right reasons as she has a good heart. Pascha is a typical little brother who gets under the feet and is generally irritating to his older sister, but in reality is just a good boy. Throughout the book there is a constant feeling of unease and that there is always a threat hanging over everyone. It made for quite an uncomfortable yet compelling read. I feel this is the closest to a "real" dystopian story that I have ever read and the fact that it could happen makes it all the more scary. It shows how different people cope in these situations, some become strong and lead others in the best way to work together and survive, others become followers and need other people to deal with things for them and some people use it as a way to gain power and control others in the most sinister and vicious way. The story is very well written and the ending was incredibly intense. I found myself yelling at a particular character because of how angry and terrified I was of him. I really enjoyed Burning and I'm glad Primitive is already out as I will be going straight on to read that! 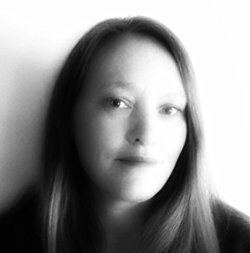 British author, Rebecca Fernfield, is a lapsed medievalist who spends her days plotting the overthrow of evil regimes and devising intricate plans to rescue their victims. She lives among the flatlands of the Humber estuary where Vikings and Saxons once fought and where, sometimes, on foggy mornings, you can still hear the echoes of clashing swords. She is the author of the series Dark Powers Rising which explores the experience of young men and women at the hands of extremist criminal gangs, intent on carving out power in a post-apocalyptic world.